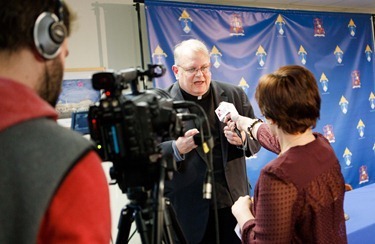 Of course, this week we saw the announcement that Pope Benedict XVI will resign at the end of the month. Even now, I am still trying to absorb the full impact of the news that the Holy Father is stepping down. 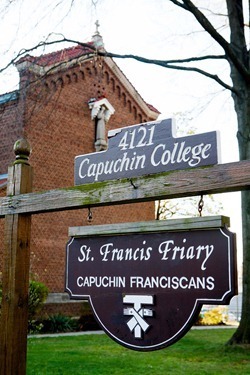 I was on my way to the chapel of Capuchin house in Washington, D.C. at 6:20 in the morning when the superior stopped me to tell me that there was a news flash. It had just been announced that the Holy Father was resigning. So many things appear on the Internet that are just jokes or hoaxes to get a rise out of people that I said, “I don’t think that can be an accurate statement.” However, by the time we came out of our meditation, lauds and Mass at about 8 o’clock, it was being reported by all the mainstream news outlets. So, I realized it had to be true. I immediately thought of the last consistory, which was held in November. 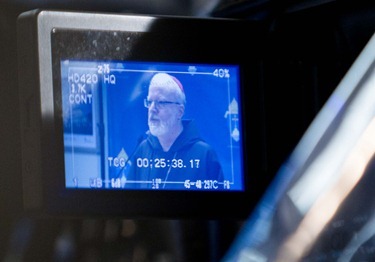 At the time, I was intrigued that the Holy Father would have two consistories in one year (there had just been one in February) and have a consistory with only six new cardinals. Now we can see it as one of the indications that he was considering the possibility of stepping down for some time. Obviously, like so many Catholics, I was shocked and saddened at the thought of losing Pope Benedict as our pope. 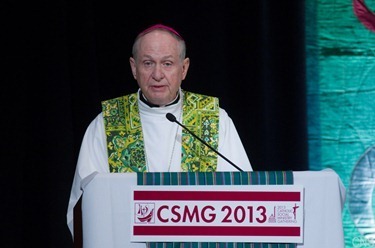 I think that although there have been many challenges during his tenure, his great wisdom, theological acumen, and capacity to communicate the faith with confidence and joy have been such a treasure for the Church. Many people are surprised to learn that the numbers attending the papal audiences and events in Rome have actually increased under his pontificate. Obviously, part of that is due to the fact that Pope John Paul II helped raise the worldwide visibility of the pope. 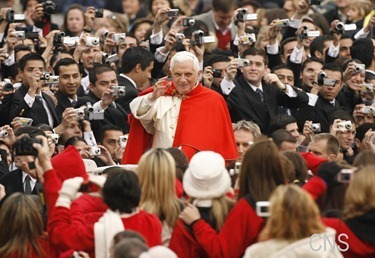 However, people have come to appreciate just how great a pontiff Pope Benedict is. 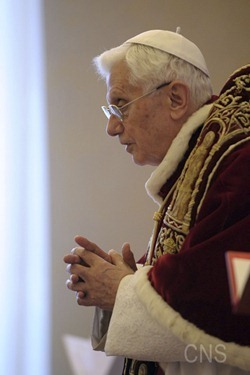 It is often said: The people went to Rome to see Pope John Paul II, but people come to Rome to hear Pope Benedict XVI. I must say that I relate to that statement. Even before Benedict was elected pope, I was addicted to his books. I read everything that he wrote and always found him to be such an extraordinary teacher — a Doctor of the Church, really. So, it comes as quite a shock and disappointment to be losing him. On the other hand, I trust in his wisdom. 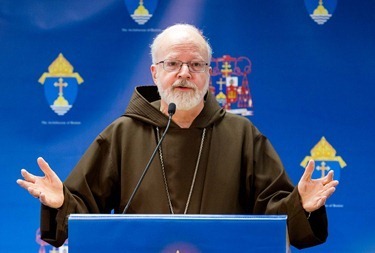 If it is his discernment that this action is for the good of the Church, then I have absolutely no doubt in my mind that everything that Pope Benedict does is from that prism. So, the Holy Father has announced this and I think, in faith, we accept it. When I think of the popes that we have had in the last century, every one of them has been a gift to the Church. We have been blessed with such holy and extraordinarily gifted popes. I know some people lament the loss of the Papal States in 1870, but relieving the pope of that dimension of his office — that was for so long one of being an Italian monarch — has been very good for the Church. 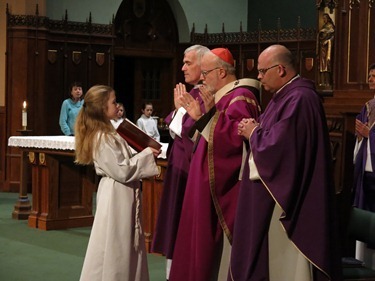 The proof of this is the wonderful popes that we have had – each one of them so different, but each one bringing his own gifts to bear in his ministry and teachings. It is amazing when you think how many popes in the last hundred years have had causes for canonization introduced. 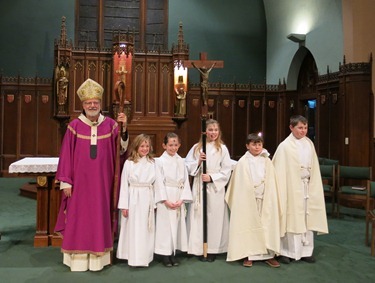 Obviously, they were human beings and had their shortcomings like everyone, but in them there was such holiness, learning, wisdom, and such a love for Christ and the Church. This has been a great blessing for the Church. 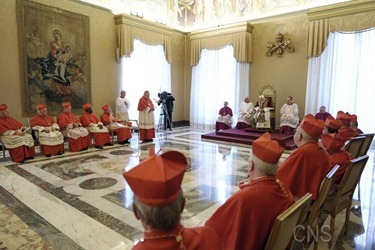 And so, in this time of transition we pray that the Holy Spirit will inspire the conclave to choose the person who will best fulfill God’s plan for the Church. 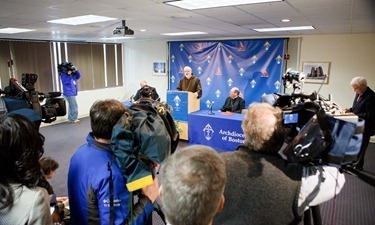 On Shrove Tuesday, the day following the announcement, we held a press conference here at the Pastoral Center to address this very issue of the pope’s resignation and the upcoming conclave. I was joined by our Vicar General, Bishop Robert Deeley, and the Rector of St. John’s Seminary, Msgr. James Moroney. I was very pleased to see the number of journalists who were there, representing most if not all of the major Boston news outlets. I want to share with you the statement I made and also the video of the press conference, which went on for about half an hour with many questions from the media. Good afternoon. Thank you for taking the time to join us for this briefing. Yesterday morning the Church and the world learned that Pope Benedict XVI, following an extended period of prayer and reflection, discerned that he would resign the papacy at the end of this month. This news certainly came as a great surprise to all of us. It would be reasonable to consider that the Holy Father’s advancing age and the responsibilities of being the leader for more than one billion Catholics, including the demands of extensive international travel, played a central role in his decision. We join the universal Church in offering prayerful gratitude for the Holy Father’s faith, courage and his leadership as the successor of Peter. During the course of the past eight years Pope Benedict embraced the papacy with the heart of a kind and caring shepherd, always holding the spiritual and pastoral care of the people of God to be the highest priority. The Holy Father also generously used his superior intellectual gifts, well established through his reputation as a renowned scholar, to share the Gospel of Jesus Christ and the teachings of the Church with people from all walks of life throughout the world. He guided the Church through unprecedented challenges, always finding strength in Jesus’ promise to be with us always, and led a world-wide renewal of evangelization that will influence the Catholicism for generations to come. 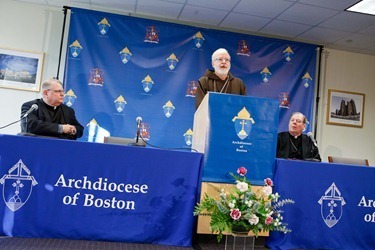 The Archdiocese of Boston in particular has been greatly blessed by Pope Benedict’s care and concern. In all of my conversations with him he has always asked me to assure this local Church of his prayers and encouragement. I will always hold the Holy Father’s 2008 meeting with survivors of clergy sexual abuse, and our presentation of the Book of Names of living and deceased survivors, as one of the most powerful experiences of my life and priesthood. 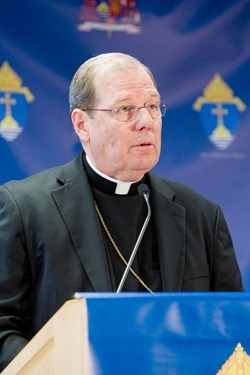 His overwhelming sorrow that such heinous crimes were perpetrated on the survivors and his heartfelt expression of love and concern were deeply moving, as was his absolute commitment that the abuse never be repeated and that the Church maintain her vigilance to do everything possible to insure the safety of children. While there will be much speculation in the days and weeks ahead regarding who will follow the Holy Father to the Chair of Peter, at this moment we are called to reflect on Pope Benedict’s leadership; offering prayers of gratitude for this servant of Christ who so dearly loves all of God’s people. 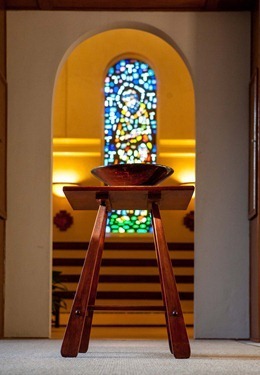 At this extraordinary moment in the life of the Church, we pray for the wisdom and grace of the Holy Spirit and the strength given by our Lord, who, assures us that he will be with us always. 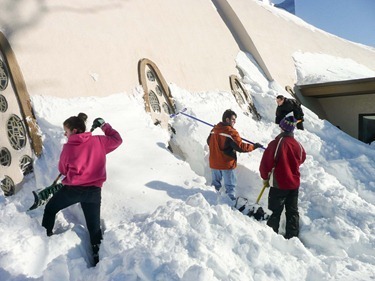 With the resignation of the Holy Father, it is almost easy to forget that there was a blizzard here last weekend. I understand that some have given it the name “Nemo.” I suppose some people think of an orange and white striped fish when they hear that name, but I think of the Jules Vern character, Captain Nemo. Of course, in Latin, Nemo means “no one” but Nemo sure was something! I think just about everyone had plans that were changed because of the storm. Our plan was to have a wonderful vocations retreat that Father Dan Hennessey and the vocations team had been preparing assiduously. We were hoping to have as many as 50 or 60 college men or recent graduates attend. But the blizzard intervened, and that was canceled. 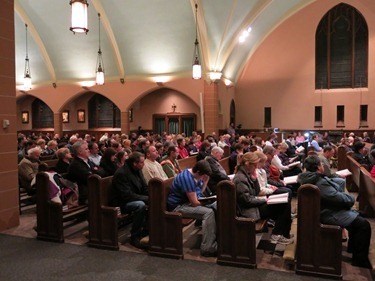 I was scheduled to speak at the Catholic Social Ministries Gathering in Washington, D.C. that brought together groups such as Catholic Relief Services, Catholic Charities, the Catholic Campaign for Human Development, the Society of St. Vincent de Paul, pro-life offices and disabilities ministries. There were about 500 people from all over the country attending and I was scheduled to give the keynote address on Sunday. So, when I heard that the airports were going to be closed for two days, I left on one of the last planes to Washington. 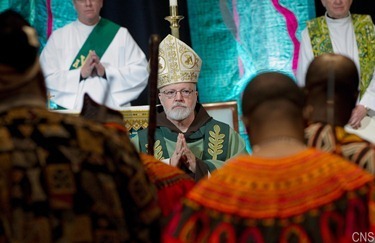 This gave me a couple of days for a sort of pre-Lenten retreat at our Capuchin house in Washington and to assist any pre-chapter meeting of the Friars of our province. It was a great joy for me to be able to do that. Then, Sunday I had the keynote address at the Social Ministries Gathering, “Promoting Human Life and Dignity in the Year of Faith”. After the conference we had a multi-cultural Mass, there at the Marriott Hotel. 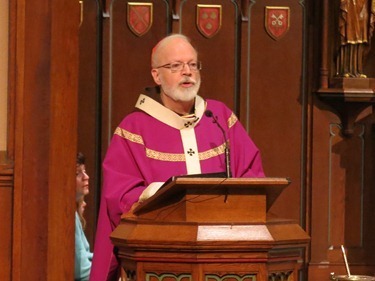 Bishop Richard Pates of Des Moines, Iowa, who is the chairman of the bishops’ Committee on International Justice and Peace, gave the homily. Monday, travel was still very difficult, but I was able to return to Boston in time for Mardi Gras. As I mentioned, earlier in the day we had the press conference. 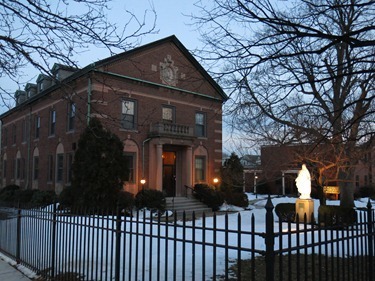 Then, later in the day, Boston College High School hosted a Mardi Gras reception and dinner for priests to which the diocesan priests are invited. 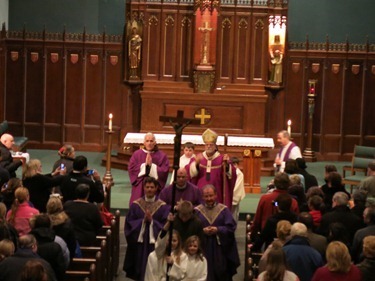 Then, of course, this week we began Lent with Ash Wednesday. 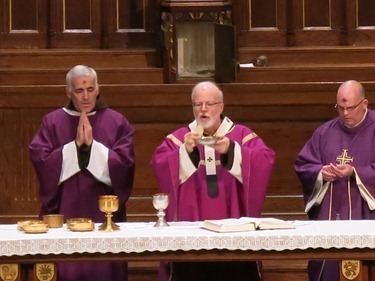 I was very happy to celebrate Ash Wednesday Mass at St. Bridget’s in South Boston with Father Casey and Father Blaney. 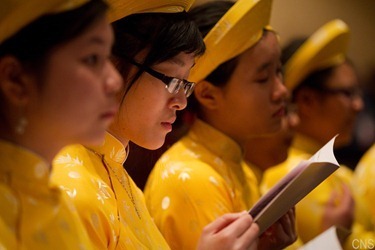 It was a full church with lots of young people, which is always very encouraging to see. 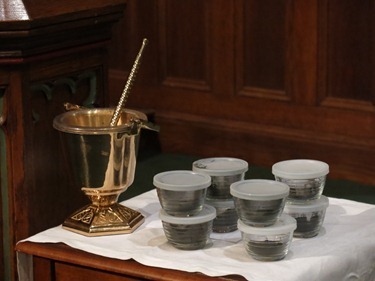 From all reports of the Cathedral and other places, there were huge crowds who came to begin Lenten season by receiving the ashes. 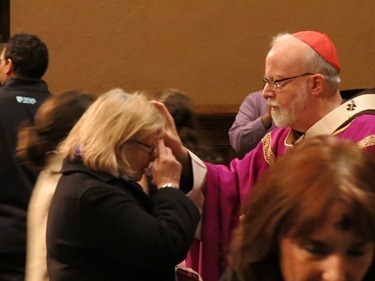 We hope that people will live this Lent of the Year of Faith with a renewed intensity of their life of prayer, particularly in this very important time for the Church when we truly need the Holy Spirit to guide us and help us in this conclave to discern God’s will to choose the right person to be our Holy Father.